Creating an acoustic 3d printable violin has been a labor of love, instigated by a single instagram post. In March of 2014 Autodesk posted this photo of David Perry playing the FFFiddle. 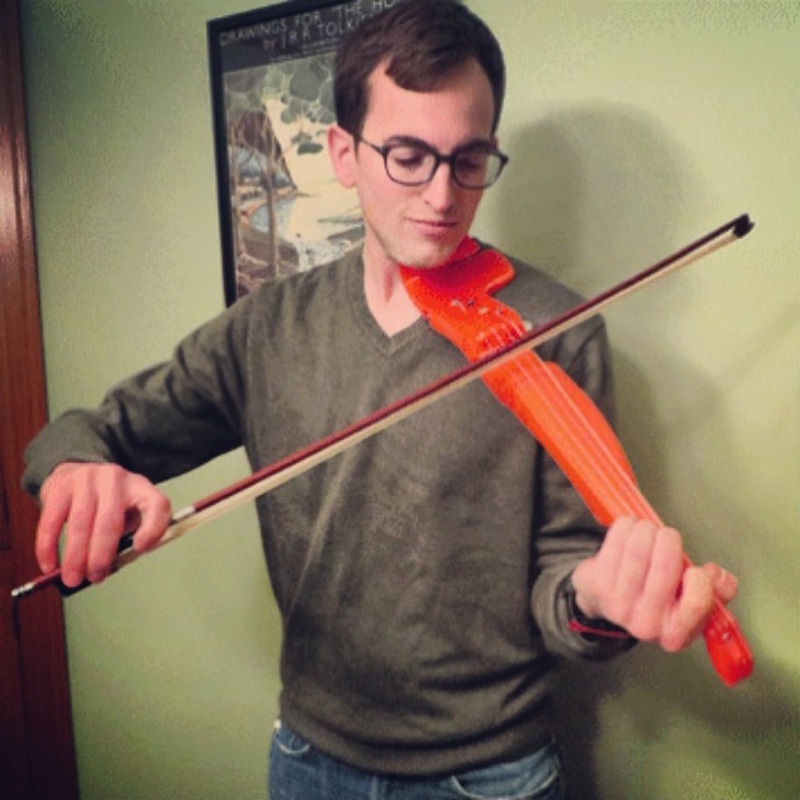 David Perry is a mechanical engineering genius, fellow cat aficionado, and the spark that showed it was possible to design and 3d print a functional violin. The FFFiddle is a solid and proven design. I&apos;m proud to be one of the first to purchase the FFFiddle. The only problem is that my #1 client didn&apos;t quite like the way the thumb felt. A normal person would have just forked and redesigned the FFFiddle to have the appropriate attributes. Instead I dove into the 3d design rabbit hole: first with OpenSCAD, then with Fusion 360. After roughly a year and a half of casual prototyping, I&apos;ve arrived at the point that I can now call the hovalin design "good enough". If phrases from our website sound familiar to those from OpenFabPDX, its because David&apos;s careful wordsmith work on his site along with his choice of licenses for the FFFiddle fit many of the same details and goals of the hovalin. A sincere thanks to Dave for all of your great work and inspiration. Matt is an Electrical Engineer, Full Stack Software Developer, and likes fun things. Cat is the best.